Flexibility, speed, reliability – mobility solutions play a key role for the society, the economy and the individual. And they are set to undergo a decisive change where both passenger services and B2B are concerned. 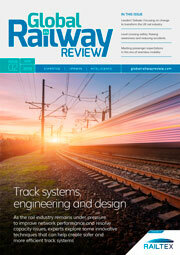 For Global Railway Review, voestalpine Railway Systems colleagues explain that 24/7 system availability is the solution. 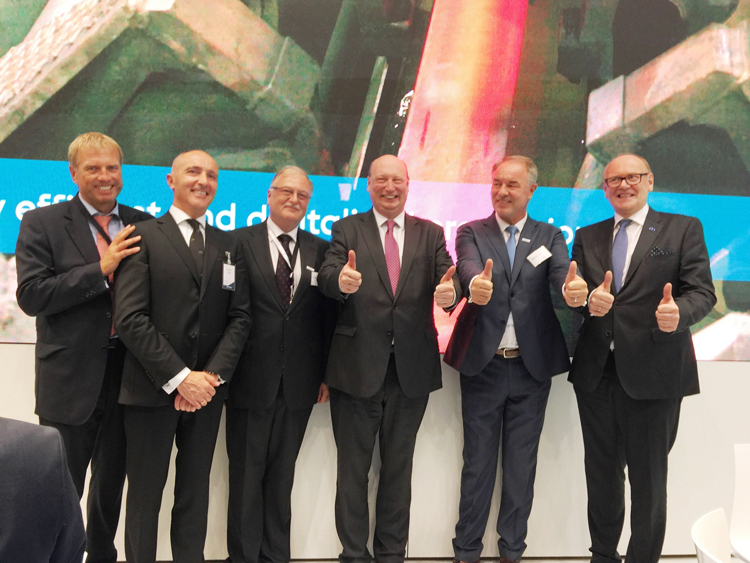 With more than 150,000 trade visitors, InnoTrans 2018 once again proved itself to be the most attractive exhibition for the rail industry in the world, and therefore, the right place to officially roll out the new voestalpine Railway Systems. This synergy platform is second to none by combining the main elements of the track under a single industrial roof. As the worldwide first system house of track, voestalpine Railway Systems is a team of global players offering not only rails, turnouts, signalling and other track components on the common basis of pioneering technology, but also a large scope of value-added services throughout the operational lifetime. Therefore, the mission is clearly defined to provide customers with a significant competitive system advantage: High mobility with maximum innovation and sustainability. From idea to implementation, training to consulting, logistics to maintenance, to a complete solution from a single source – under the term ‘Track Solutions’ voestalpine Railway Systems offer a comprehensive four-pillar concept (Prepare, Start, Run, Perform), which supports customers to substantially optimise service life, economic efficiency, availability, reliability and ease of maintenance throughout the rail network. The ability to make an efficient contribution is based on the combination of innovative products with comprehensive services. By providing smart digital system solutions such as real-time monitoring checkpoints, voestalpine assists infrastructure owners and general contractors in optimising track performance and asset management. voestalpine Railway Systems has a wide-ranging portfolio which not only includes numerous out-of-track and in-track services, but also supply and logistics. One facet of the digital future regarding turnout maintenance management is the ‘VAE now APP’. The tool works with QR, data matrix, barcodes and RFID chips. By scanning the code, the customer has instant access to specific information such as drawings, pictures, installation and inspection manuals, as well as acceptance test certificates. Within the app, spare parts can be requested. 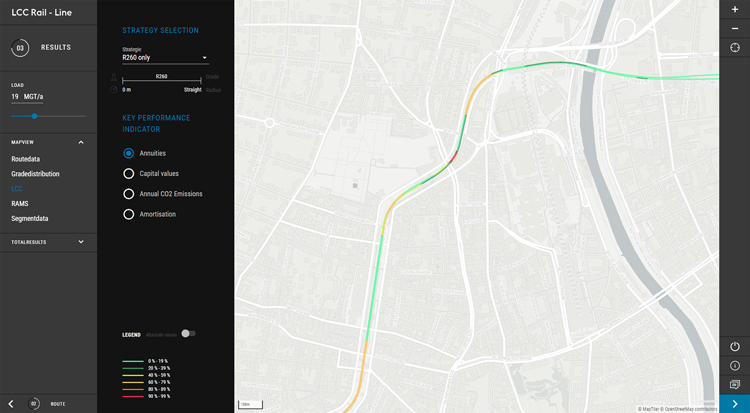 The master information contains all project data related to the specific turnout – therefore, records about past activities already performed are available in the track, along with the necessary data for optimisations and service planning. Product tracking allows a close link to service activities and voestalpine’s turnout measuring robot, the first mobile robot for the automated three-dimensional inspection of vignole rail and grooved rail turnouts, crossings, expansion joints and tracks. Thus, the relevant parameters for comprehensive evaluation of track geometry are available based on real-time access to the measurement data. Features include the possibility of a 3D reconstruction of the inspected sections and the export of various 3D formats. Also, a superposition analysis of different scans can be performed. As the leader in railway infrastructure technology, voestalpine has continuously strived to improve its products for all kinds of railway applications to reach the longest possible service lives and lowest maintenance needs, even under the most challenging conditions. The terms RAMS (Reliability, Availability, Maintenance and Safety), LCC (Life Cycle Costs) and CSR (Corporate Social Responsibility) have thus been key terms that accompanied product development from the early days but gained more and more importance over recent years. Whether it is Super Premium rail steels, high-speed turnouts with moveable point frogs or innovative and intelligent signalling solutions, when it comes to product design, voestalpine’s focus has always been on providing the highest quality and ensuring maximum customer benefit in terms of technical, economic and environmental considerations. The basis for any assessment of an innovation is its performance in track conditions. At the same time, it is of highest importance that the performance is described properly in various directions to support sustainable management decisions targeting financial, technical and social aspects. While LCC analyses1 evaluate all costs that arise during a product’s life cycle, and thus reflect one of the most relevant criteria when purchasing new products, RAMS reflects the technical basis for these analyses. In other words, RAMS figures reflect the technical key performance indicators of railway components and only profound in-track evaluation with qualified personal and sophisticated measuring equipment can form the basis for these evaluations. Furthermore, taking its social responsibility very seriously, voestalpine is expanding the scope of assessment from the railway system to overall social correlations. As an example, the overall CO2 footprint of a railway infrastructure solution does not only consider the production processes and technologies, such as the environmentally-friendly HSH® technology of voestalpine, but also the impact of such solutions on maintenance, renewal or replacement measures. By significantly extending service lives and reducing maintenance requirements at the same time, the Super Premium rail steel 400 UHC® HSH® not only leads to optimised LCC and RAMS figures, but considerably affects the CO2 footprint of rail in a positive way. The long-time engagement with the system railway and its interrelationships has shown that there was a need for user-friendly, fast-working and transparent tools for assessing infrastructure solutions, which was answered by voestalpine creating a tool landscape of three different LCC applications. Thereby voestalpine Railway Systems aims to provide transparent LCC analyses for rails and turnouts for its customers; proving the trust that our long-lasting, low-maintenance components will lead to the lowest overall costs of ownership with optimised maintenance and best ecological figures. The ‘LCC Rail – Segment’ tool was especially developed to analyse the LCC for a single curve under given circumstances. The tool enables voestalpine to provide LCC-evaluations for critical points in new projects or give very precise analyses for track approvals. Besides the LCC aspect, the CSR parameter Carbon Footprint based on production exhausts can be calculated, as longer rail service lives ultimately lead to lower overall production and consequently a reduction of CO2 emissions. 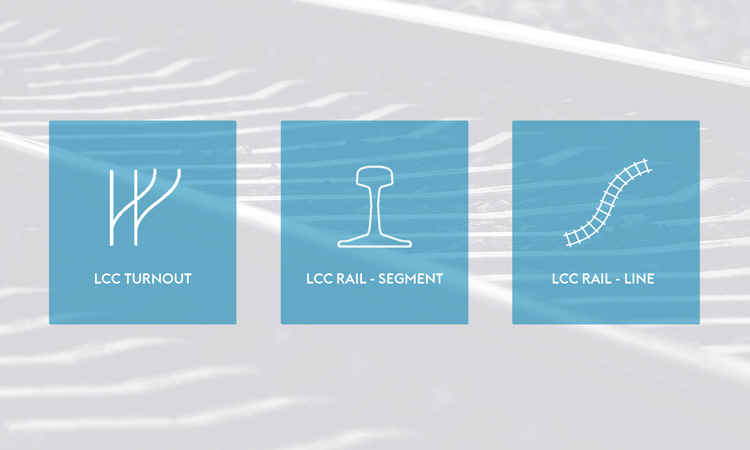 The ‘LCC Turnout’ tool follows the analytical logic of the ‘LCC rail’ tool and is able to evaluate the economic impact when choosing different turnout components, leading to a tailor-made recommendation with the components fitting best to the customer’s system. The ‘LCC Rail – Line’ application is the newest innovation of voestalpine’s tool landscape. It is a GIS (Geo Information System) application based on decade-long field measurements of different rail steels under heavy haul, mixed traffic, metro and tramway operation. 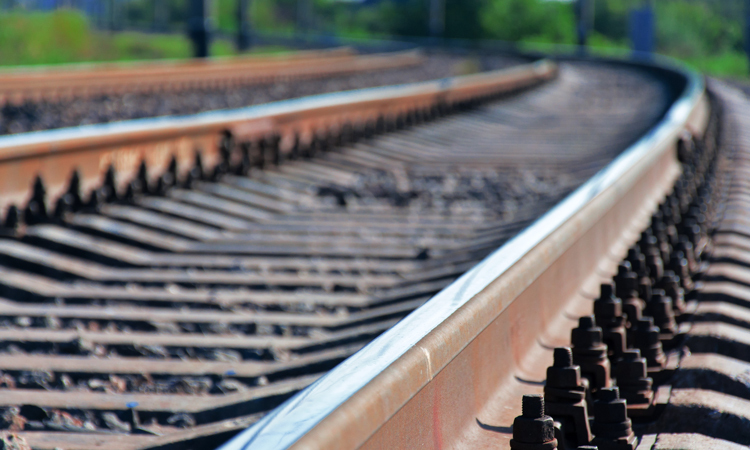 It is a strategic tool, where different rail grade and maintenance strategies can be compared for whole track sections based on RAMS, LCC and CSR parameters. 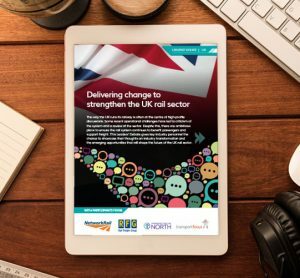 The effective combination of the tools aims to offer a solid decision-making basis for railway engineers independently if they are maintaining existing systems or considering investments in new systems. While the long year measuring experience of voestalpine, on a global scale, form the basis for the evaluations, the analyses can be further fine-tuned by using in track measurement data from customers’ databases. 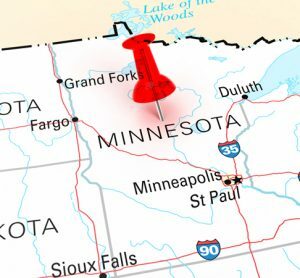 Experience in various joint investigations has shown that the use of these data sources ultimately leads to the most precise results and the most solid decision-making basis. Component selection based on lowest LCC. It can be concluded that following holistic approaches in product (further) development consequently involves both the assessment of components with all possible correlations within the complex system railway and the assessment of new components with regard to their financial, technical and ecological consequences. Only track solutions satisfying both demands provide sustainable solutions, which is the main goal of voestalpine’s activities to create maximum customer benefit. Both factors together bear the potential of an economic quantum leap, but above all, fulfil the need for eco-friendliness: The requirement of the hour. Albert Jörg studied Civil Engineering at Graz University of Technology and spent several years as Scientific Assistant at its Institute of Railway Engineering and Transport Economy. Albert joined voestalpine Schienen in 2009 and is currently Head of the Product Management Department. Since 2012, Lukas Prettner has worked for Technical Customer Service and Product Management at voestalpine Schienen, dealing with markets in Europe and Asia with a special focus on Urban Traffic Systems and LCC. Lukas has a Master’s in Civil Engineering from Graz Technical University. Dr. Martin Platzer is currently Senior Vice President of Marketing at voestalpine Schienen. Martin is also the current Chairman of UNIFE’s Infrastructure Committee.